Campfire Collaborative Spaces announced series of pitch nights called, “Campfire Spark”. Campfire believes that entrepreneurs draw the most inspiration from their peers so to further encourage industry-focused collaborations, it kicked off 4 pitch nights starting with “Tech”, followed by “Fashion”, “Media”, and “Design & Architecture”. Each event will see multiple finalists present their business plan to win up US$10,000 in cash and office space to take their ideas to the next level. The format of these pitch nights: 3-minutes pitching & 3-minutes Q&A. One winner and two runners up will be announced on the day. Each Campfire Spark event will be followed by a networking session with light refreshments provided. In their last “Tech” pitch night on 14th Sept ‘17, 7 finalists competed with each other and all of them presented their exciting pitches. 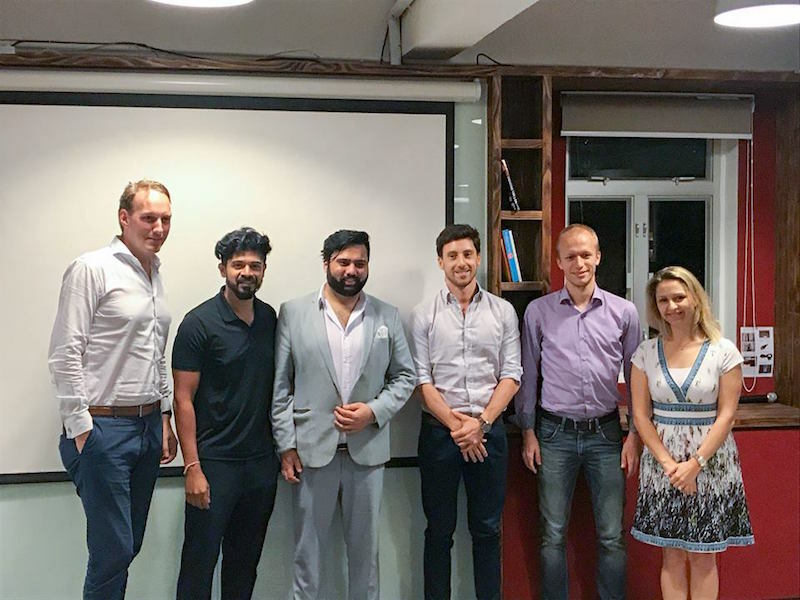 The finalists was evaluated by a distinguished panel of judges: Dennis Plomp, Principal of Nest VC; Nicole Denholder, founder and CEO of NextChapter, and Tamim Batcha, Head of Community at Campfire Collaborative Spaces. The judges found it very difficult to decide on whom to be the winner. 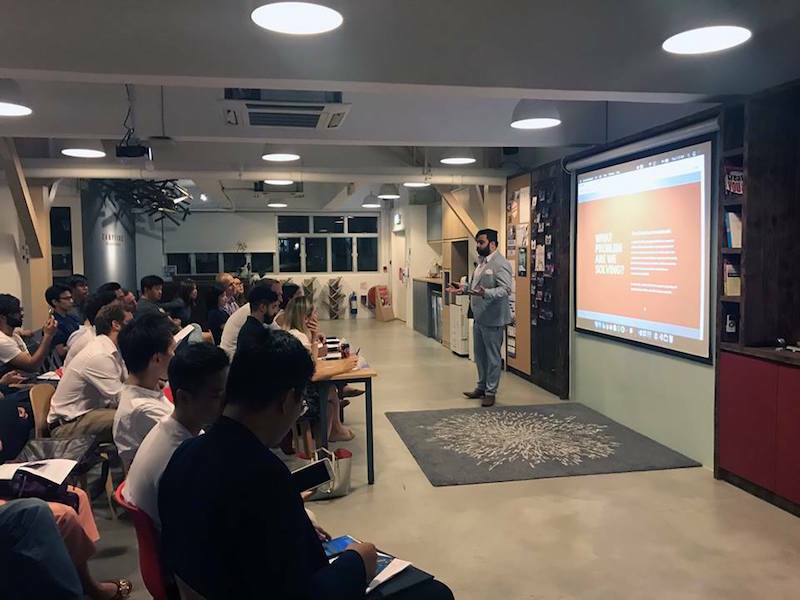 At last, Trip Guru was chosen as the champion and received US$10,000 in cash and office space as prizes, while Agorize and Hong Kong Tourist Pass had won the runner ups, they each received two months and one month free hot desk. Trip Guru is a travel package online booking system,which targeted in individual travellers who wish to meet new friends and enjoyed the authentic experiences in foreign countries. They currently provides trips to Southeast Asia and have already covered seven popular countries and more than 15 destinations. Agorize connects corporation with talented innovators, through series of innovation challenges for candidates to showcase their talents in problem solving and creativity. Companies can also employ the most suitable candidates to work in their companies. More than 1,200,000 people have collaborated on the challenges on Agorize and it has already expanded to four cities. With Hong Kong Tourist Pass, tourists can travel around Hong Kong with convenient package which includes tickets for transports and attractions, internet connection and information on restaurants and nightlife. They have cooperated with more than ten popular attractions and major transportations in Hong Kong. Campfire Collaborative Spaces is Asia’s fastest growing network of shared spaces. By end 2017, Campfire will have 10 industry-focused co-working, 1 co-living, and 1 co-learning sites in 3 countries. With real estate at a premium in most major cities, Campfire provides reliable and flexible sites to maximise utilisation. Currently operating 2 industry focused workspaces in Hong Kong (Kennedy Town – Tech and Wong Chuk Hang – Fashion), that has been designed to provide every tool and service possible for members to grow. Campfire was conceptualized as a place where like-minded entrepreneurs can gather to share their experiences and work together. Campfire encourages its members to connect, create, and collaborate through industry-specific facilities, relevant events, and vibrant communities.